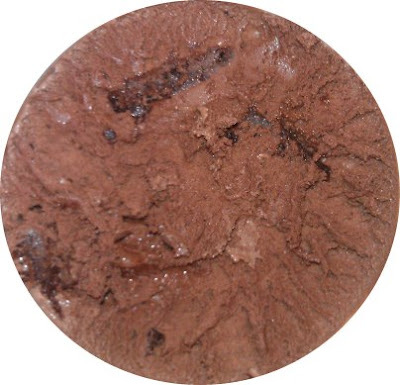 [2015 Update] Chocolate Fudge Brownie has made the transition to Non-GMO and the giant fudge brownies are as fun as they've always been. 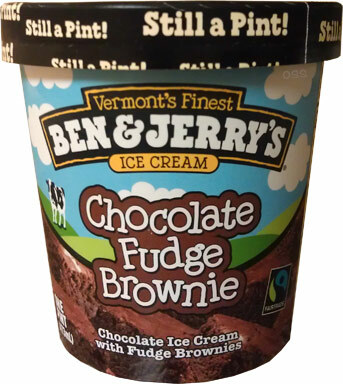 I'm a big fan of this classic combo and this version has a great ice cream to brownie ratio. Original review after the break. 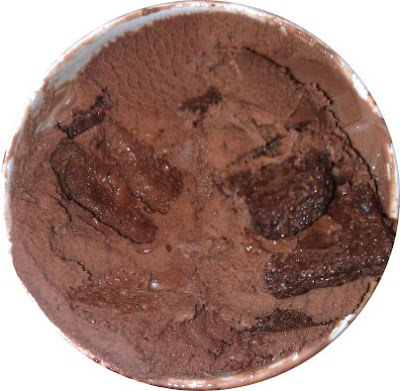 [Original 2013 Review] You know, some days it pays to tell people you love ice cream. I did a big favor for someone at work and how do they repay me? With Ben & Jerry's ofcourse! Now I'm tempted to dig into the awesome Chocolate Therapy pint first, but it seems only fair to showcase the other pint first. Such a classic flavor, funny to think I've only shown the froyo version on the blog. Mmmmm, one bite and I'm in love. 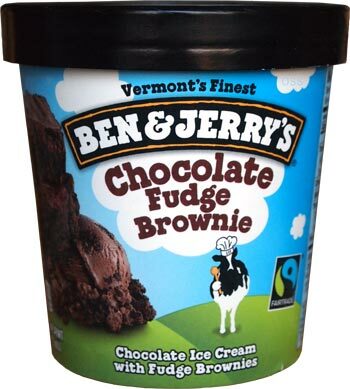 Rich chocolate base, classic Ben & Jerry's texture, huge brownies. And when I say huge, well, these brownies are giant, like one inch square giant. I've needed a chocolate fix for about two days and this is totally hitting the spot. Not sure what else to say. I'm guessing most of you have had this one by now and I've got no complaints. Actually, I have one. 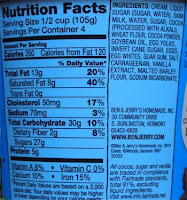 How do I stop myself from eating the whole pint right now? Curse your plentiful greystone bakery brownies! On Second Scoop: YAY! 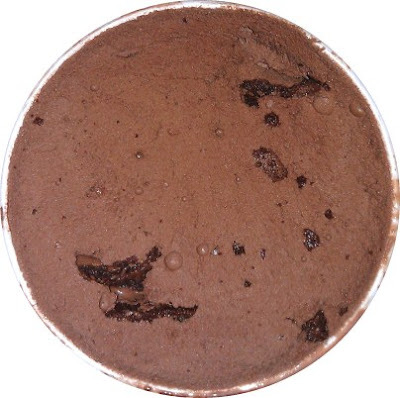 I did manage to hold off until the next day before scooping some more of this chocolaty treat. I really like this one and it's making a great afternoon chocolate fix. In fact, I stretched this pint out to three very tasty servings. I've got no complaints. It's a great flavor, plain and simple. I thought I was the only one who hasn't ever tried this one yet (not to mention that it's only one their top selling flavors)! My excuse is that I usually go for Half-Baked if I want a chocolate fix since there are also cookie dough chunks. I am interested in your opinions on Half-Baked because if you surf the internet you will not find many positive reviews. Maybe you can consider a review sometime in the future. I'm not a huge fan of when B&J swirl their flavors, I think they become to muted, but that said, yeah, I'll totally try it over the winter since I've only posted the froyo version. 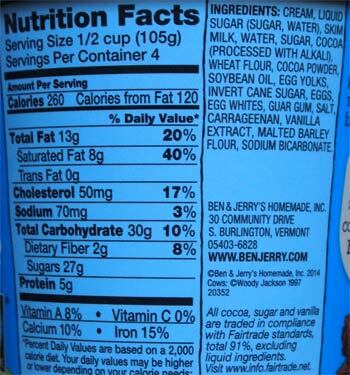 I definitely agree with you that Ben and Jerry's mutes their flavors when they combine them. Great classic flavor! Does anyone know why the lid says "still a pint"? @Sarah: They're taking a shot at companies like Haagen-Dazs who now only have 14oz in their containers instead of the full 16oz. We like to refer to them as faux-pints.